Open from 9 am - 6 pm daily; last tickets sold at 5 pm. 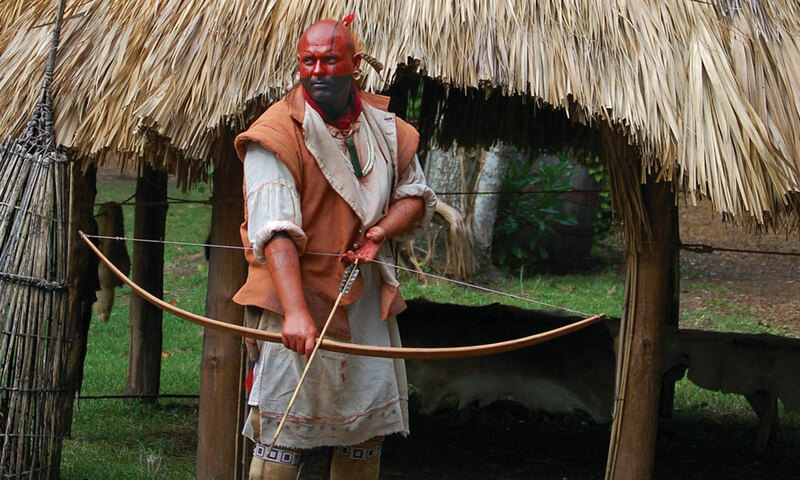 The Fountain of Youth Archaeological Park is a 15-acre, waterfront historical attraction, where visitors can learn about the first Spanish settlers who came here in the 1600s and the native Timucuans who were here to greet them. 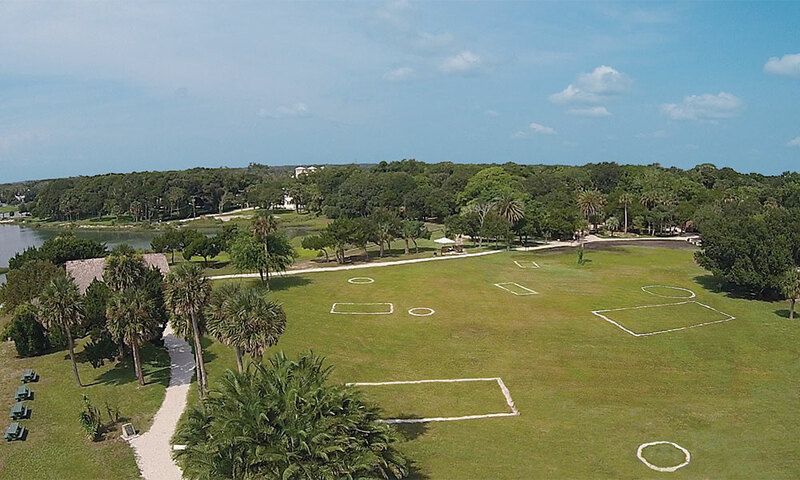 With a working archaeological dig on site, as well as several re-created Spanish and Timucuan buildings and dwellings, the park is bursting with history. It's also just a beautiful spot to relax, enjoy the views over the water from the 600-foot Founders Riverwalk or from the Observation Tower, sample the waters from the natural spring (Ponce de Leon's legendary Fountain of Youth? ), and let the kids feed the roaming peacocks. 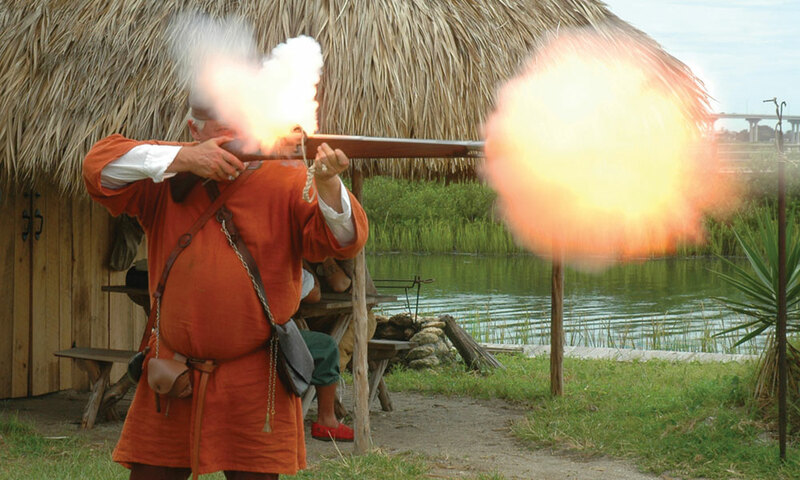 The Fountain of Youth offers a variety of shows and living history reenactments designed to entertain and educate visitors -- the Planetarium, the two-story Discovery Globe mapping the routes of the early explorers, the Timucuan Village, and the reconstructed First Mission of Nombre de Dios. 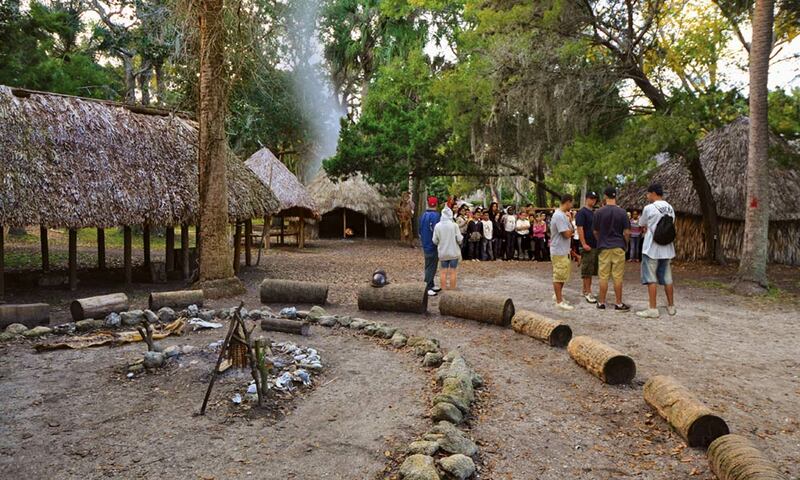 The Fountain of Youth Archeological Park is the site of the first Spanish settlement in the new world. Founded by Spanish explorer Pedro Menéndez de Avilés in 1565, this is the oldest continuously occupied European settlement in North America. 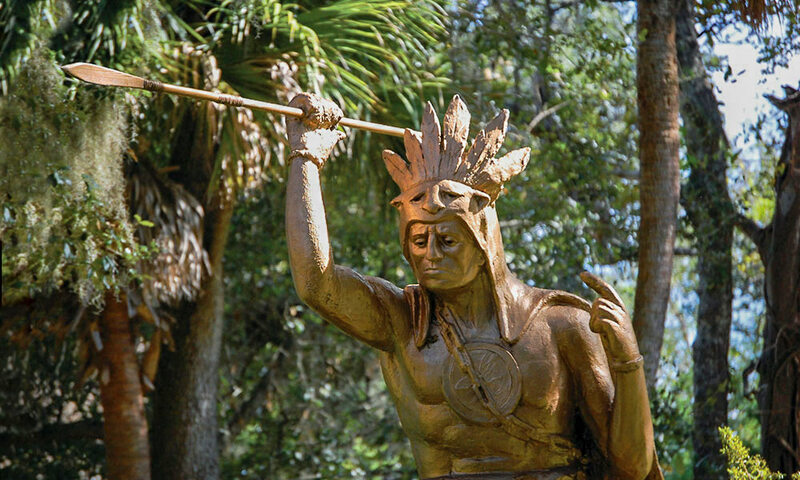 Long before the Spanish came to La Florida, the Timucuan Indian village was established at this site for nearly 3,000 years. In 1513, Juan Ponce De Leon claimed Florida for the Spanish crown, though no colonies were successful here until Menéndez arrived in 1565. The large grounds of the Fountain of Youth attraction make a great space for family gatherings, weddings or other special occasions. 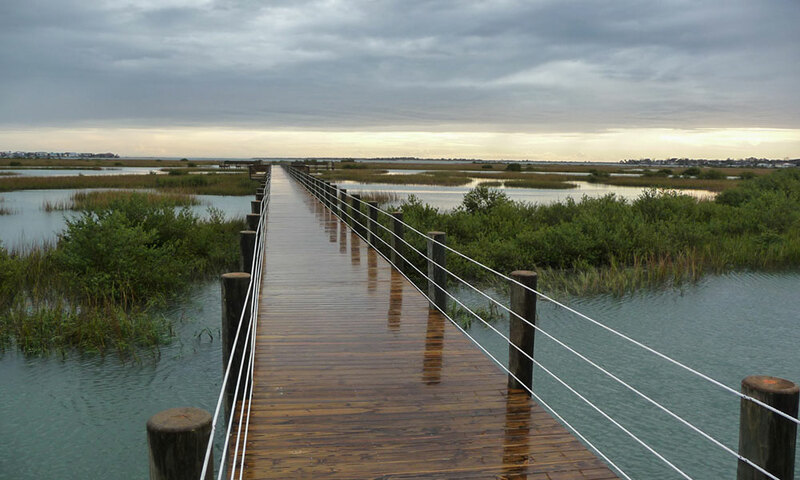 The beautiful waterfront location offers views of the bayfront and St. Augustine Inlet. With its deep sense of history and the natural beauty of the site, the Fountain of Youth is a magical place. There is ample free parking at the Fountain of Youth, and the park is known for being pet-friendly. Ponce de Leon's Fountain of Youth Archaeological Park is located just north of the Mission Nombre de Dios, and just south of the Vilano Bridge. 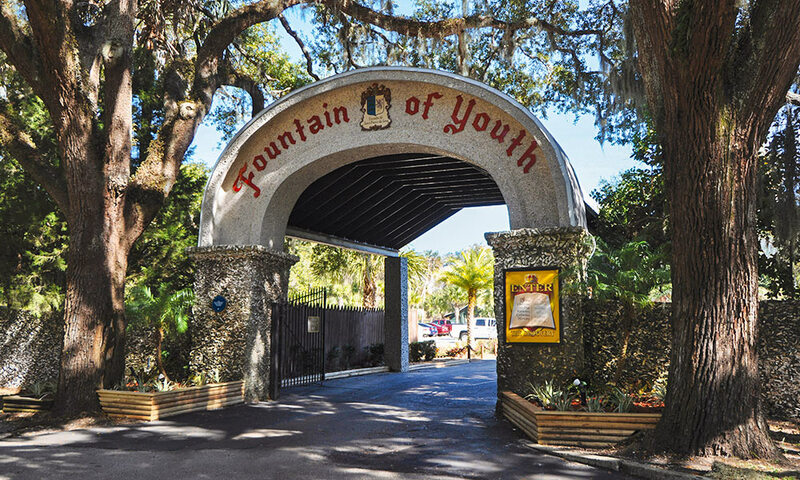 I visited the Fountain of Youth during the middle of March and found it to be beautifully located and historically revelent to the history of Saint Augustine. The guides were well informed and I particularly enjoyed the actual firing of a cannon at the waters edge. The grounds are well kept with lots to see and spacious, so bring walking shoes! i drank from the fountain- waiting for the effects to take place. planetarium was interesting. firing the cannon was informative- the men there knew their weapons. the peacocks strutting around was an added bit of enjoyment. No, there's not a whole lot here, but we got to hear about a lot of history, which normally bores me, however, this little tidbit was presented well. The man at the 'fountain' told us some history of the water. According to him, it will bring youth and magic if you believe. Now, isn't that better than Disney? We saw a cannon fired by a gentleman in period clothing who knew all about the fighting in that area, and we watched the short 'globe' program to learn about DeLeon's voyage. Yes, it was a bit cheesy, but the area was beautiful, and I enjoyed the energy of the place. You want non-stop action, go visit the Mouse. If you love history you will love it.... Just the thought of going back to the past it was an awesome experience. Yes...real dirt here. Sulphur water. 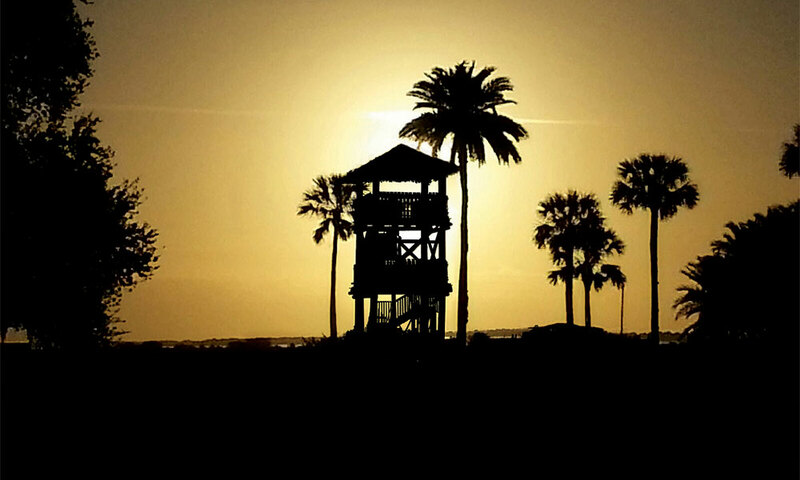 Real Florida and rich history. Anyone wanting a disney ...gag...ride; keep driving. Enjoyable visit. Was a hot day, and the thought of a cool cup of water seemed like a good thing...well it wasn't. The site, the history, the things to see and do were entertaining.....except for the water, which I drank down, The aftertaste was unplesant. Aii in all, certainly worth the experience. My husband and i loved it. After all the history we read in school about it to be there was amazeing. Are favorite part was the fountain, just to think we were where it all started. It makes you feel as if you have stepped into history. The Park is big and there are a bunch of exhibits. Our favorite was the cannon firing! The water was...interesting. I just visited and loved it. It is for the historical and nature minded not the tech.minded. I loved it because it was old school. Also unlike most venues this days they did not try to gouge your pocketbook like trying to charge for parking or 4 dollar cokes. They also honor the military active duty as well as retired veterans and I deeply appreciate that. Very pleasant afternoon. But I don't mean to the discovery of the area. There's something very dated about this attraction. Yet, that is part of the charm. If visiting tourist locations (i won't call it a trap) is your thing, by all means stop. The grounds are beautiful with the free roaming peacocks...have your cameras ready!